Do we learn from the past? Can we? 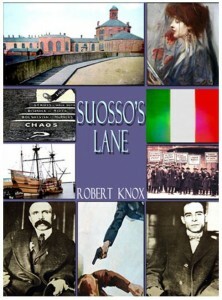 Monday evening, Oct. 17, I’ll be speaking on “Suosso’s Lane” at The James Library and Center for the Arts, 24 West St., Norwell, Mass. The time is 7 p.m.; it’s free. With the election three weeks away, I hope to be able to draw some attention to the lessons of the Sacco-Vanzetti case by pointing out similarities in today’s politics to those of the 1920s when the two Italian anarchists were convicted of murder largely because of their unpopular beliefs and their nationality. For “Italians” in the first decades of the 20th century, substitute “Mexicans” or “Muslims” and you’ll get the picture. I believe the historical events dramatized in “Suosso’s Lane,” while they took place a long time ago, raise questions that are still with us. Perhaps it helps to remember what social and political condition were like in America a century ago. on your website ? I can write hi quality posts for you. Let me know. Apologies for not replying sooner. Do you have a site of your own? Can I read your posts?